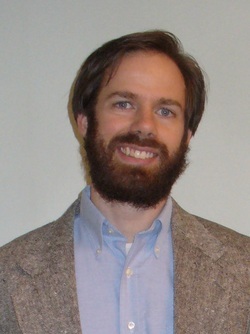 Dr. Paul Mueller is an assistant professor of economics at The King's College in Manhattan. He has published articles in the Adam Smith Review, Econ Journal Watch, the Journal of Economic Behavior and Organization, The Review of Austrian Economics, the Journal of Private Enterprise, and the Quarterly Journal of Austrian Economics. ​Dr. Mueller has given talks or led seminars for the Institute for Humane Studies, the Acton Institute, the Commonweal Project, and the Intercollegiate Studies Institute. He wrote a series of columns about his dissertation on Adam Smith’s moral and political ideas for the Cato Institute. Dr. Mueller’s intellectual interests include financial markets and financial crises, political economy, the Scottish Enlightenment, 19th century British liberalism (especially the works of Adam Smith), the Great Books tradition of the liberal arts, and Austrian economics. Why the Conventional Wisdom about the 2008 Financial Crisis is Still Wrong: Ten Years Later, Cambridge Scholars Publishing, January 1, 2019.
Review of The Professor and the Infidel, by Dennis Rasmussen, The Independent Revew, 2018, 23 (2): 316.
Review of Adam Smith: His Life, Thought, and Legacy, ed. by Ryan Hanley, EH.Net, 2016.